Shoes and Storage and Make-up - Oh My! This is going to be picture heavy I warnest thou now. I am getting ready to go back to Uni (ugh...really don't want to) and I bought some adorable storage from WH Smith and I thought I would show you all and also show you the contents and a few of my shoes that I am taking with me! This box is from WH Smith (they have loads and they are all soso cute!) It's my 'products' box and as you can see it contains things like my Redken Pearl Glam, Frederki Fekkai Marine Hair, Label M protein spray, CHI Volume boost, BATISTE (x3! ), St Tropez (x3), St Moritz. L'oreal Nutrisummer Mist (- can you tell I like fake tan?) and lots of hair masks - Two cheap ones and a Label M one and Kerestase one etc etc. It isn't full yet as I am going to wash my hair tomorrow so my shampoo&conditioner and styling products aren't in there yet! But this makes such a cute and tidy addition to my bedroom as opposed to this big ugly plastic box my dad bought me from Argos in freshers! Bleugh. The top box is the 'random box' you can't see much but it contains hair extensions (how horrible do they look like that? Creepy.) speakers, a shoulder bag, my fake tanning mit etc. Very random! 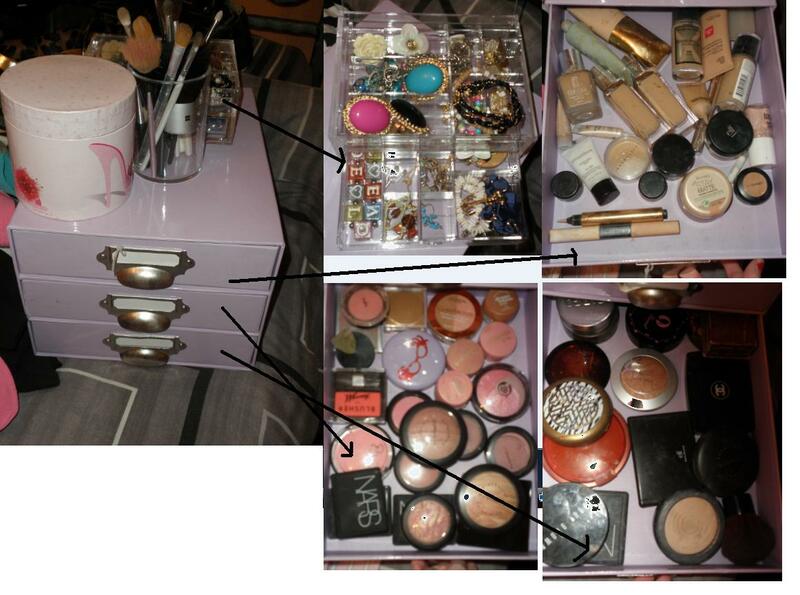 This was in my last 'storage' update and on the top it has the round box which contains some jewellery, a brush holder from MUJI and it also has a jewellery box from MUJI which is the top left picture. The top right picture shows my foundation&primer drawer, bottom left is blush and highlighters and bottom right is bronzers! As you can see I have a very random collection ranging from low-end (elf, rimmel, maybelline,) to mid-range (L'oreal, Max Factor,Revlon)to high-end (MAC, Nars, Chanel, YSL etc). This was purchased today and on top rests a yellow patterned Space NK box containing nail varnishes and my Mac e/s palette and my Urban Outfitters glitter palette. Top drawer picture shows my many many mascaras (you can see four of my HG mascara Maybelline Volum' Express!) bottom left drawer shows all of my eye shadows (again I have a massive range - everything from Clinique to Barry M to Mac to Benefit to Bourjouis!) and the bottom right drawer shows my lip products - Lipsticks, Lip glosses etc and eye products such as eye liners and glitter! Thoughts/Opinions please? 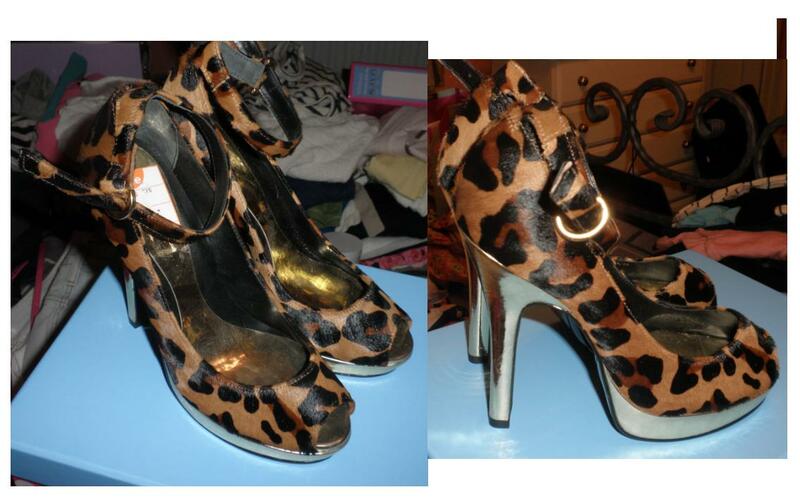 I always want to wear them but always end up wearing my beloved Gladiator heels (below - from New Look!) 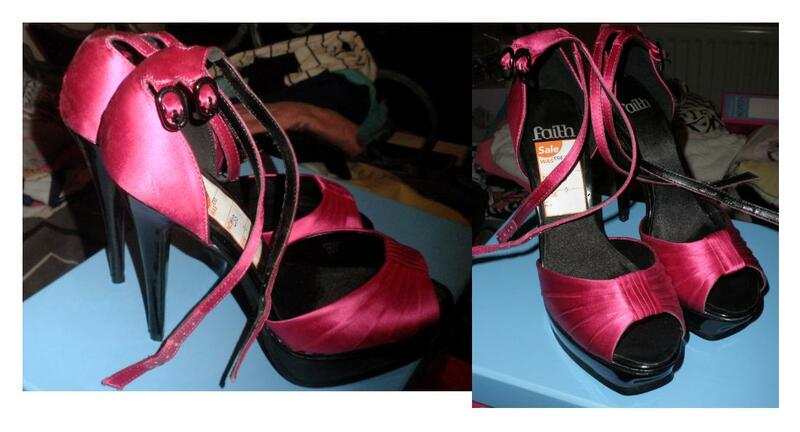 and below are also my Christian Loboutin pink heels. 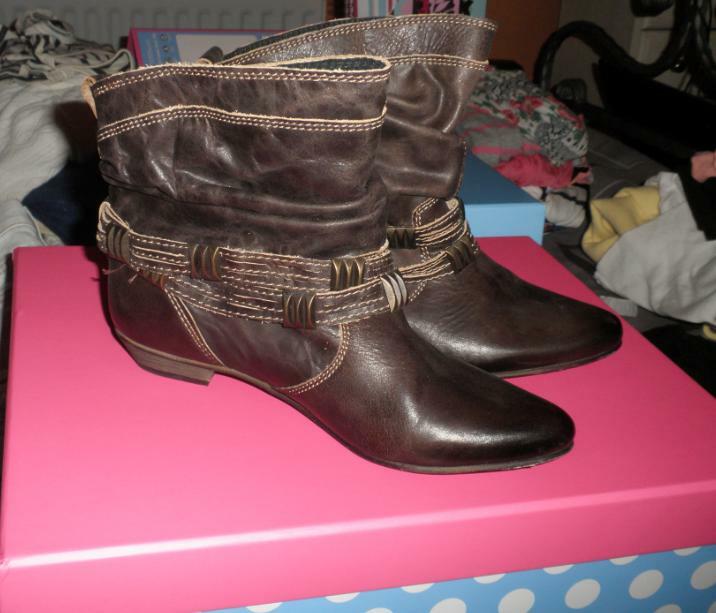 Have only worn these once but hope I will get lots of wear out of them in the winter. SO that's my big photo heavy update. 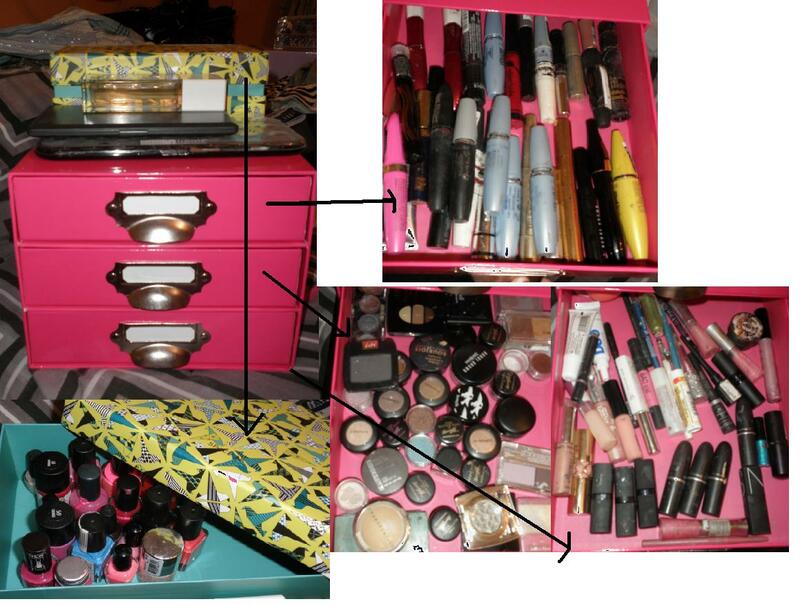 Hope you like my storage ideas and now you have some idea regarding my make-up collection and my shoe collection! I'm only bringing down one pair of black flats, 2 pairs of UGG boots and a pair of black heels. So thats 9 pairs altogether - that actually seems like quite a lot..what do you guys think? How many pairs of shoes do you wear regularly/take down to Uni with you?? Do you guys have as much product crap as me haha and do you take aall your make-up to Uni with you or just the essentials? - I have to have it ALL with me!